Frontpoint provides world-class customer service backed by a 30-day money-back guarantee. 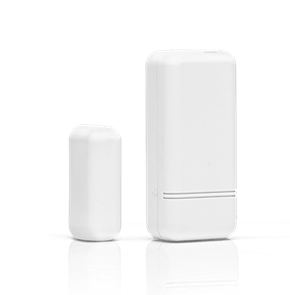 Their mission is to deliver an A+ customer experience and a Safer, Smarter, Simpler home security solution. 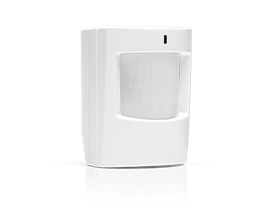 They do so with a wide range of wireless sensors including window sensors, door sensors, motion sensors, carbon monoxide detectors, and glass break sensors to detect signs of trouble. See below for our Frontpoint Security review. Equipment and monitoring fees are competitive with other leading security companies. Frontpoint home security offers monitoring services in three packages from which customers may choose: protection monitoring, interactive monitoring, and ultimate monitoring. These Frontpoint systems have a monthly fee for professional monitoring, but that price is not disclosed on the website as prices may vary depending on each individual home. We were, however able to get some numbers for standard costs of alarm monitoring. The monthly price ranges from $34.99-49.99. 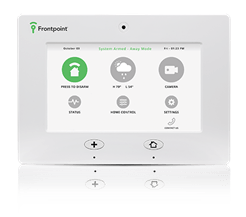 Frontpoint security systems are all 100% cellular monitoring services, with the higher priced option offering additional add-ons like home automation controls and video surveillance monitoring. The mobile app is included in the Interactive and Ultimate plan only. Contracts are available for 12 and 36 months. However, there is a $99 minimum equipment purchase. Pre-made, comprehensive security packages range from $199.95 – $349.95. Customers own all the Frontpoint equipment they’ve purchased and have a 30-day, risk-free trial. If you are unhappy with your alarm systems you may get your money back. Frontpoint equipment is easy-to-install. There are no installation fees, and Frontpoint understands the value of diligent customer service. One of the major selling points that helps minimize consumer risk is their 30-day money-back guarantee, so a customer can try Frontpoint security systems out and see for themselves. It appears that they satisfy most of their customers. Frontpoint has a loyal following. Their customers have continually rated them highly and applauded their services. Frontpoint uses a simpler approach to monitoring options by offering a 100% cellular connection. Unlike other security companies, their wireless system is not dependent on a phone line, internet connection, or any other system within a home. Their system won’t go down if the landline or internet fails and all communication is built into the system itself. While the system may be DIY, hundreds of happy customers have testified how easy it is to install. In addition, Frontpoint configures the system to your home before shipping it. Once you’ve installed the system, a quick call to Frontpoint will activate it and make sure it’s performing properly, or you can use their new self-activation process provided in the box. To top it off Frontpoint’s Monitoring Center is one of the highest-rated monitoring facilities in the country based on unbiased reviews. The majority of their customer base has had an overwhelmingly positive response. Frontpoint has only been in business since 2007, but they have already made an impression on the home security industry. 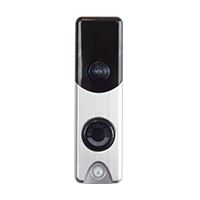 In addition to all this Frontpoint continues to innovate recently offering its customers with new Wi-Fi doorbell security cameras. These doorbell cameras include a motion detector and 2-way communication so you can always see who’s at the door through video surveillance and they never have to see you. Upfront Costs: While equipment fees start at $99, they may reach as high as $449 if you chose to upgrade packages. 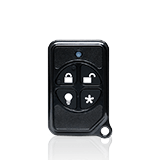 For example, a base package includes 3 window sensors/door sensors. If you were to customize their base package to include 10 extra door sensors/window sensors, you would pay close to $248.90 out of pocket. Frontpoint Security Equipment Warranty: FrontPoint only offers a 3-year warranty on their equipment. Many other competitors offer lifetime equipment warranties. Time in Business: Frontpoint was founded in 2007. They continue to improve their service each year, but they are not as “established” as some of the other companies who have been in the industry for decades. Frontpoint is one of the best in customer service, and anybody looking to use their services can’t go wrong. And if they do… Frontpoint will make it right. They’re also rated highly pretty much anywhere you look, and there are hundreds of five-star ratings. They lay out all their information clearly on their website, and you can request a quote online. They provide great customer service, no hidden fees, 30-day risk-free guarantee, and top of the line technology and equipment. There is a reason they are one of the best companies with whom to work. Visit their site today! Frontpoint offers the best in Home Automation through their “Professional Package”. For $49.99/month customers receive the Frontpoint home automation and video monitoring on top of the basic security package. With this plan you’ll be notified immediately of any alarm activity within the home—whether it’s a matter of security or an environmental threat. Also, you’ll be reminded if you leave without arming your system, using theFrontpoint location-based Geo Services. An excellent offer that comes with this program is the light control feature. 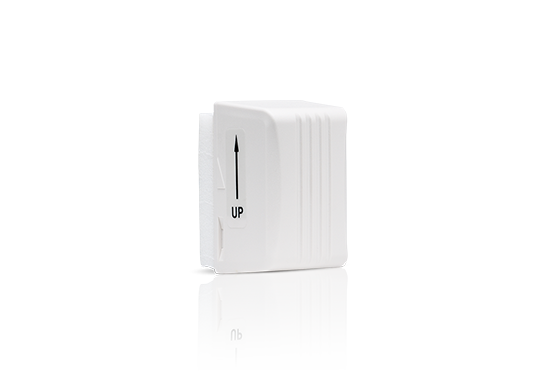 Instead of wandering around in the dark trying to find the lights,Frontpoint Interactive Plan allows customers the ability to create an on/off schedule or set lights to trigger automatically in reaction to a sensor alarm. Another useful feature is the Frontpoint environmental protection. Dangerous gas, such as Carbon Monoxide (CO), extreme temperatures, or flooding can offer bring harm and damage to your family and home unexpectedly. However, with Frontpoint Interactive plan you get sensors and thermostats to guard against these calamities. Some other great features Frontpoint offers is a thirty-day money back trial period, free text and email notifications, and the option to do self-installation. Frontpoint offers customized/configured home automation systems. 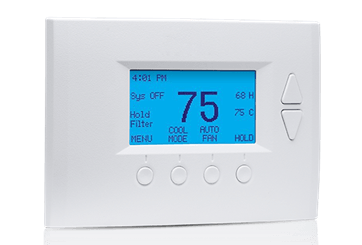 Because these systems are designed to fit the consumers’ needs, Frontpoint does not sell the locks, thermostats, etc. 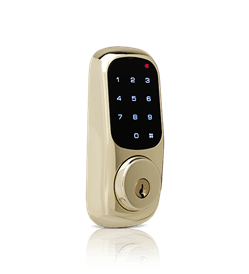 The reason for this is that the Frontpoint home automation system is a self-setup, so it can be difficult for someone to install their own locks and thermostats so they operate correctly. Another potential issue for many is that Frontpoint automation system is a self-setup system. While the system is generally simple to setup, there are some who may struggle with it. Overall, Frontpoint’s home automation system is a system that offers some nice features, but is missing some of the key elements that are included in many other automation offers. If you already have Front Point security or like the idea of self-setup, then we suggest checking out their home automation package. It is my great pleasure to introduce you to Frontpoint, which my partners and I founded in 2007 – with decades of alarm industry experience behind us. At that time, the home security industry was conspicuously behind the times, using outdated technology to produce vulnerable, complicated alarm systems. We seized the opportunity to provide innovation and improvement, and jumped at the chance to transform the landscape of home security. Our first goal was obvious: make a safer, more reliable alarm system. Leveraging the best of modern wireless and cellular technology, we eliminated the safety problems inherent in traditional hard-wired systems. We leveraged the best technology possible to produce a smarter, simpler alarm system, with amazing interactive features that let you access and control your home security from anywhere, anytime. But behind every exceptional product, there must be exceptional people, who truly understand the needs of their customers. Frontpoint has always been committed to delivering the best customer service in the industry. Our formula is simple: We listen to our customers. We respond immediately, answer all questions and tell the truth. We’re committed to safety and simplicity, too. With Frontpoint, your home and family are protected with100% wireless equipment and 100% cellular monitoring. You stay connected, with free mobile apps, live streaming video and home automation. Every Frontpoint monitoring plan gives you complete protection, without hidden add-on fees. This total dedication to excellence and customer service has earned Frontpoint thousands of positive reviews, as well as countless service awards. I can confidently assure you that when you choose Frontpoint, you are choosing an alarm system you can count on and a support team you can trust – from the world’s most trusted alarm company. Frontpoint uses 100% wireless and cellular technology, changing self-installation and home automation in the industry. All of their equipment is provided by GE Security utilizing Z-wave technology allowing for advanced home automation features so you can instantly customize and control the system from anywhere, anytime. 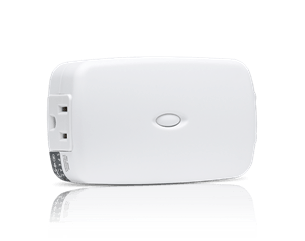 Wireless home security equipment makes installation easier allowing for peel and stick sensors, eliminating the need to run wires and drill holes. 100% wireless also makes transferring your security system from one home to another simple and convenient. Wireless surveillance combines convenience and complete peace of mind as you monitor what happens inside and outside your home, anytime and anywhere. Instantly pull up every camera in your home from your smartphone or PDA and/or any computer with internet access. 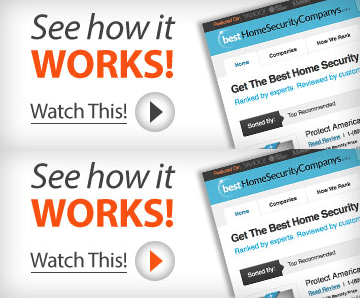 Receive notifications to your email and smartphone of video clips of what is happening in your home as they happen. 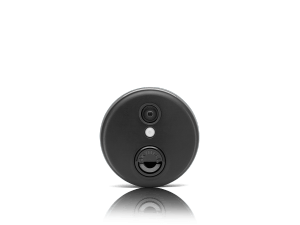 FrontPoint Security’s new doorbell camera is equipped with a motion sensor and 180 degree vision. It’s a simple installation and also connects to Frontpoint’s mobile app so you can receive alerts if anyone is at your door. This 2-way communication doorbell has everything you need to see and talk to anyone at the door without anyone seeing you. Doorbell Camera Overview PDF. 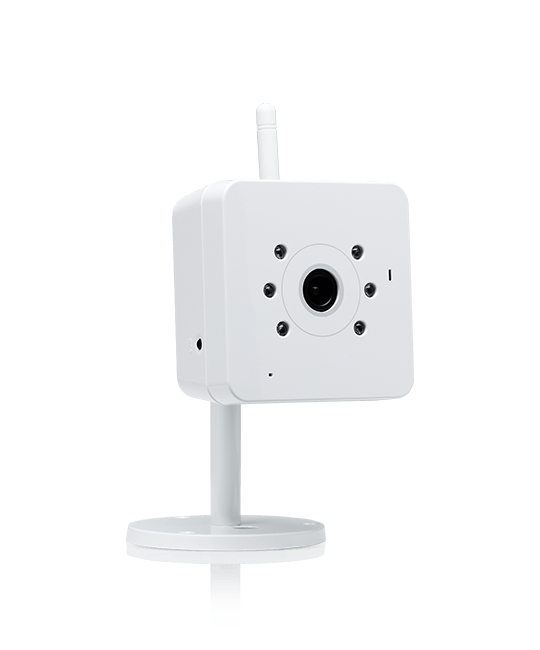 Get 50 feet in viewing range and infrared technology with our Indoor Camera. Protect your home from crime and itself! 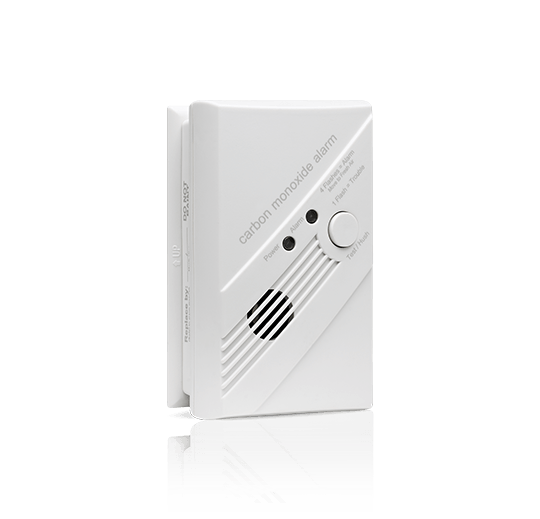 Get the latest in environmental sensors notifying you when flooding, freezing and CO is present in your home. These much needed safeguards provides advanced notice of damage to your home, helping to decrease the potential amount of damage. 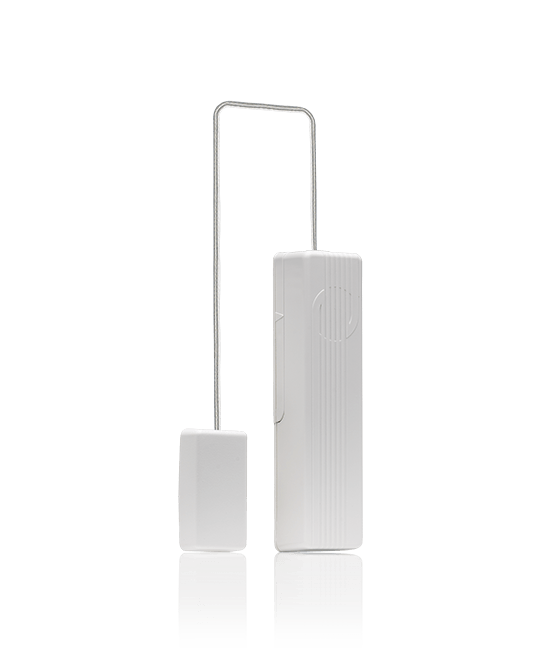 Receive instant notifications to your email and smartphone as the sensors go off. 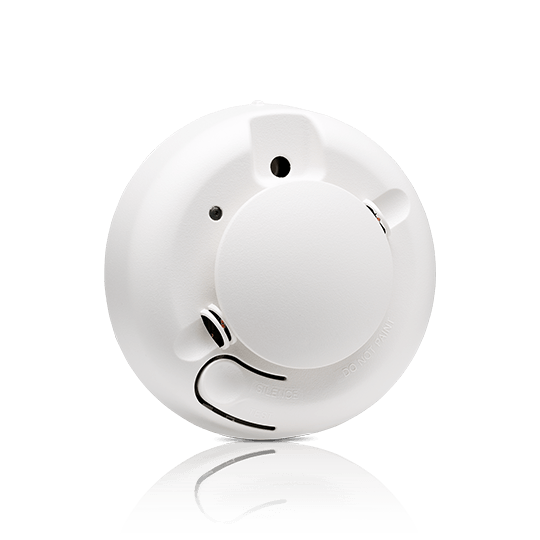 Receive instant warning about flooding and leaking in your home as soon as the detector comes in contact with water. Receive immediate response from FrontPoint’s Monitoring Center as soon as dangerous levels of CO enter the room. Detect low temperatures in your home and prevent freezing before it happens. Receive emails or texts messages as soon as the sensor drops below 32 degrees F.
Call our recommended rep over at Frontpoint below. Or you can visit their site by clicking here. 11 people found this review helpful! I had a terrible experience with this company. I never used the product and paid $49 a month for over 2-years. I called to discontinue service and the customer service representive, David, was very rude and condescending. I will need to pay over $560 if I would like to discontinue service. He told me that “if I did not intend to use this service, then this was not a good choice for me.” He compared the use of Frontpoint to a cell phone provider. When I questioned his logic, and why he was saying this — he argued with me about why I was incorrect. There was a tremendous difference in tone and flexibility with the representives who set up the service, and those who answer the calls to discontinue service. I understand that not activiating the service was an odd choice, but I was not asking for a refund. I found the set up process difficult (the installation of the video cameras) and kept putting it off until I sort of gave up on the whole thing. Regardless, the call with David was unpleasant and unprofessional. I would be very careful about what you are signing up for when you choose this company. 8 people found this review helpful! It was my first time ever trying a security system. I was going to travel and I wanted to leave everything set up. I was supposed to receive the systems on Thursday. I called today and they said that unfortunately it seems the equipment is lost they would refund the 25 dollar fee and they could resend the new equipment. I had a really bad experience, I can’t say that I would recommend Frontpoint. Service was ok, but if you move and no longer need the service cancelling is a nightmare. If you cancel before you contract is up you still get charged 80% of your contract. and if you tell the Rep. to using the existing Account you do not get informed that they can change the amount and pull it out of your checking account so you get charged for another month of Service. NOT HAPPY AT ALL WITH THIS COMPANY AND WILL NEVER EVER USE IT AGAIN AND CERTAINLY WILL NOT RECOMMEND FROINTPOINT TO ANY ONE. THEY ARE CERTAINLY NOT WILLING TO WORK WITH THE CUSTOMER OUT 395.51 FIR SERVICE NOT BEING USED. ALSO HAD TO PAY A 30 DAY NOTICE THEY QUOTE YOU THE AMOUNT THAT YOU WILL HAVE FOR YOUR FINAL PMT. BUT BE WISE THEY DO NOT INCLUDE THE TAXES IN THERE. NEVER AGAIN. guys do not even try to use this security service it is a scam!!! i would give them negative 10 if i could. Hardware is a joke and they stick you with a long contract that you cannot terminate!!! Wow these people are relentless!!! I asked for a quote via email and then was bobmarded with over 20 phone calls in three days. Guys, i get it you want to talk but calling over 5 times a day is not a good way to get someone’s attention! If you DO NOT want annoying sales people stay away from these people! Plus there are better systems out there that have equivalent pricing. I have had Frontpoint for 2 years now and their customer service is excellent! Any issues with my system are addressed immediately. I have some issues here and there with the cameras but the monitoring fees are reasonable compared to ADT. 10 people found this review helpful! The initial sales call is very pushy, but i was ready to buy, so it didn’t really put me off. I also liked the idea that the sales rep sold me on which was that i would always be able to contact him directly. Despite my attempts to do so i have never spoken to him again since The initial sales call. Not that it matters because i realize now that it doesn’t matter who you talk to at frontpoint. The problem is the equipment, so short of changing the equipment to something which isn’t cheap junk, no one at front point will be able to help. The first 3 months of our frontpoint service was excellent and mostly trouble free. Their customer service representatives have for the most part been nice and eager to try to help, but nice is irrelevant when the equipment doesn’t function as it should. The equipment is bulky and looks old and clunky. After 12 months it started to function as such. Sometimes taking several minutes to several hours to actually arm and disarm, sometimes never actualy arming at all. One night we went out for a Christmas gathering, and in the few hours we were gone we could not manage to remotely arm the system and when we returned the system was still not responsive via the app. The app showed repeated arming signals being sent, but never managed to successfully arm. Attempting to resolve this with customer service always resulted in “your signal looks good.” They have offered to escalate it further and have me sit on the phone and troubleshoot the system, but I’m afraid i don’t have that kind of time, nor would i want to waste it on troubleshooting if i did. The door sensors are an eyesore. Our door leading into the garage is sprung and closes on its own, so it slams a lot. The door closing itself was enough to damage the door sensor. Frontpoint offered to sell me a new one. I was able to make it work again by moving the magnet portion of the switch to where it touches the sensor when the door closes to actuate the switch. The sensors on the exterior garage door get stuck often, showing the door is open when it is not. So you end up having to open and close it a few times before it works again. When i called them their questions were so idiotic and condescending that I hung up and decided to just live with it. Their motion sensors are a joke. We had to reposition them so many times to get them to stop giving false alarms, to the point where their locations are practically useless. We were recently out of the country and the false alarms started again. Since we were unreachable when the company frontpoint contracts the monitoring duties to would call, they dispatched the police for every false alarm, which has now resulted in a bill from the local sheriff’s department. So we had to start using the system in stay mode only, which only works if an intruder comes in through a door. Of course the offending sensor stopped activating after we switched to stay. Next theres the delay. 30 seconds for the alarm to go off, and 30 seconds of the alarm actually going off before frontpoints monitoring cronies lift a finger. That’s a minute. One minute for an intruder to wander around your house and do whatever they want before anyone notices. Where I’m at now is having to pay both frontpoint and another alarm company for monitoring services, because paying for the time left in your contract to receive nothing sounds incredibly stupid to me. I feel like frontpoint generates more revenue from contract cancellations than they do from actual subscribers. I look forward to the day I can remove all of the frontpoint equipment and throw it in the trash where it belongs. My house is pre wired so every window and door has a sensor on it, this includes motion or glass break sensors in all rooms. I’d much rather have the complete coverage and dependability of the hard wired equipment. Excellent customer service. Agent walked me through the set up process step by step. I could not be happier. Only drawback is the cost for additional sensors but that seems to be with any system. I was totally on board with Frontpoint. No problems. Great customer service- the system seemed fine. Bu then… I received a notification that my price was going up! Apparently state taxes have gone up- or so I was told, so they have to raise their prices. Now this is odd, considering I am in a 3 year contract. For every contract I’ve ever been in , the price stays the same for the entire contract period. I suppose Frontpoint is above the rules on this– as they have raised my price 2 dollars a month. I know it’s not that much, but over two and a half years, it really adds up. And who is to say they won’t do it again? What good is a contract is the company is breaking it. Honestly disappointed here. Absolute horrible service and equipment. Only had the service a few short months and already have had multiple false alarms that Frontpoint can’t help address why. Cannot wait to terminate this contract and go elsewhere! The product is ok. Compared to others in the same market for the price it is worth it. However, they lock you in for 3 YEARS! and they do not let you know that, you have to read the fine print. I moved to an apartment and the only way for me to get out of my contract is to pay hundreds of dollars or transfer service and equipment to someone else. Buyer beware. I am now being chargerd $45 a month for something I can’t get rid of! Once I do I will never deal with this company again. 12 people found this review helpful! The biggest issue with monitored alarm systems is that the scenarios they advertise are unrealistic. Your local police assume any call from an alarm system is a false alarm, and so they don’t show up until 30 minutes later and will often charge you for a false alarm unless they see robbers in your house. Which isn’t likely 30 minutes later! In a real emergency you need to call 911 yourself anyway to get fast response. 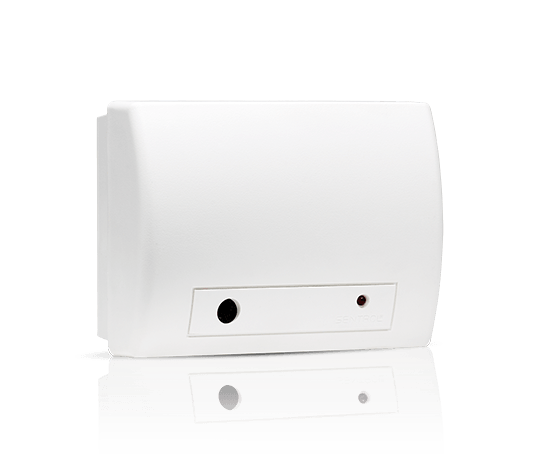 Save yourself monitoring fees and just get a smart home system that sounds a siren when a sensor is triggered. That should alert you and scare them away, and if you’re actually in danger call 911 yourself. I signed up with Frontpoint in 2015 because I liked the user-friendly technology and the idea of self-installing with no contract terms. Over the past two years the system has not been reliable with false alarms and faulty equipment (door sensors) that I have replaced a couple of times. Today I decided to cancel and was informed that I was locked into a 36 month contract!!! Never would have purchased in the first place if the sales rep had told me I was locked in for 3 years. Ironically, I had turned to Frontpoint after a bad experience with a local alarm company that had made it difficult to terminate service. Fortunately, I only have about 8 months left (with 30 days advance written notice required). Buyer beware, Frontpoint is sleazy. 9 people found this review helpful! I paid up front for the alarm, used a ‘birthdate credit score”, called to see when i could expect my delivery 2 weeks later because i hadnt recieved an email or phone call letting me know the delivery date, just to be told that there was a credit freeze (there isnt) on my credit score so they canceled my order without contacting me. When i asked why i wasnt contacted to let me know it had been canceled, they didnt know. At least i have a refund coming to me. Now i just have to decide on ADT or simplisafe. Frontpoint is a joke. Don’t waste your time or money with Frontpoint. I’ve had this system for about a year. It’s an old house and the doors are recessed in the frames. I had to drill holes in the doors and frames to mount the sensors. Now, one the sensors has gone bad. This item has been discontinued. I either have to drill new holes, or as they suggested drill original holes deeper an pack caulk around the newer slimmer sensor. If that goes bad it will be real problem trying to get out. I cannot begin to count the number of false alarms I get. So, now if there is an alarm from one certain door, they ignore it. What good is that? When I do get this 3 yr contract paid off, I’m putting this system where it belongs, in the trash. Frontpoint equipment may be basic, but it works. Their customer service is excellent–pleasant, efficient, and competent. Rarely keep you on hold at all. When I have needed replacement batteries and new signs, they have been cheerfully replaced without cost. 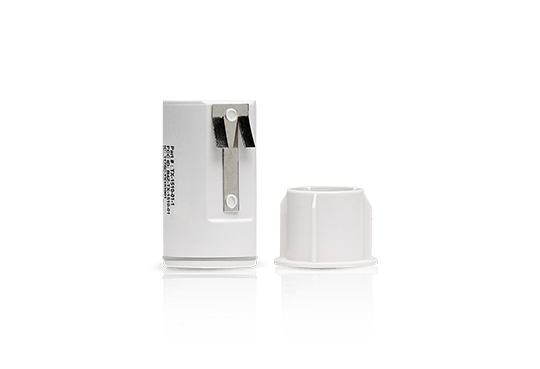 Only equipment problems have been a couple false motion sensor alarms–probably caused by my cats walking across surfaces they should not have been able to reach.